A look at the Malayalam films which best symobolise the letters of the alphabet! It was a fascinating and nostalgic experience going through the Malayalam films released from the 1940s till today. To choose 26 films from the sea of films made in the last several decades was like watching most of those films all over again, in mind. Much before the greatly acclaimed Amores Perros was made, National Award-winning director K G George made Aadaminte Vaariyellu about three women belonging to three different social classes whose lives are linked by certain events. Srividya, Suhasini and Soorya portrayed the three women, who despite being from different social strata, went through the same kind of pain and abuse inflicted by people close to them. In the end, all three find a way to liberate themselves. Amma Ariyan by the maverick director John Abraham was financed by literally drumming up money from common folks. But it was too obscure for them. It is an allegorical and symbolic work of art, more of a personal statement by the director. 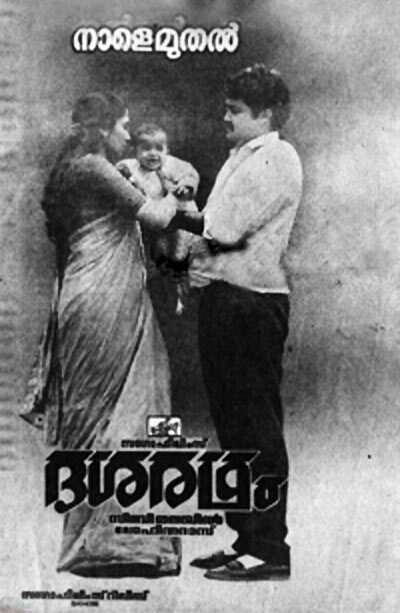 Balan was the first talkie made in Malayalam. "Hello Mister" was the first recorded sound in the voice of Alleppey Vincent. 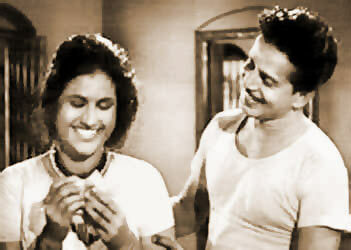 The movie was based on the short story Vidhiyum Mrs Nayarum by A Sundaram. No film was quite like Chemmeen. This classic film about the lives of fishermen was based on the novel of the same name by Jnanpith Award-winner Thakazhi Sivasankara Pillai. Even today, people of Kerala sing the songs composed for the film by Salil Chowdhari and mimicry artistes use the dialogues uttered by Sathyan, Madhu and Kottarakara. 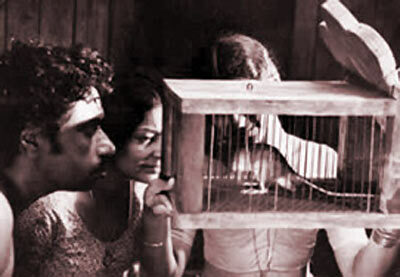 Chemmeen was the first Malayalam film to win the Golden Lotus for Best Indian film at the national level. Marcus Bertley, the cinematographer, won a Gold medal at the Cannes Film Festival that year for Chemmeen. The film by Sibi Malayil was based on a story by Lohitadas and is about surrogate motherhood. It was made during the golden period of their collaboration: whatever Lohitadas wrote and Sibi Malayil directed, touched the hearts of the public. Mohanlal plays a rich alcoholic who wants a child but without getting married. He "hires" a womb from a woman who needs money to treat her husband's illness. The theme was much ahead of its time yet audiences accepted it warmly. Elippathayam (The Rat Trap) chronicles the frustrated life of a man trapped in the feudal system which had already begun to disappear from Kerala society. The film won the British Film Institute Award for the Most Original and Imaginative film shown at the National Film Theatre in 1982. The film was entered for many international film festivals including the 1982 Cannes Film Festival. Friends was made when comedies started ruling Malayalam cinema. This laugh riot was a huge box-office success not only in Kerala, but in Tamil Nadu and Andhra Pradesh as well when it was remade in Tamil and Telugu as Friends and Snehamante Idrea respectively. This is a favourite with fans of Mohanlal's older films. It was made during the golden period of the Sathyan Anthikad-Sreenivasan-Mohanlal combination. When the three got together, they tickled the funny bones of all Malayalis. 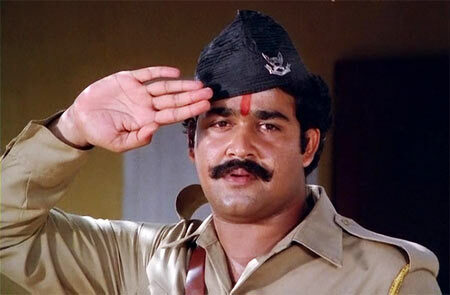 Mohanlal, a Malayali, has to masquerade as a Nepali Gorkha to get the job of a security guard in a residential colony. The events that unfold are hilarious. Another favourite with Mohanlal fans. Produced by Mohanlal's Pranavam Arts, it was another successful venture of Sibi Malayil and Lohitadas. Mohanlal was superb as the musician Ananthan Namboodiri, who was brought from Mumbai to kill an erstwhile raja played by Nedumudi Venu. Venu won the National Award for Best Supporting Actor and M G Sreekumar for Best Playback Singer. This low budget film based on a story by Jnanpith Award-winner M T Vasudevan Nair, and directed by poet P Bhaskaran, won the National Award for the Best Film on Social Issues. Prem Nazir, who till then used to act only in commercial films, gave an amazing performance as 'Bhrandan' (mad) Velayudhan. This is possibly his best performance ever. It is considered a landmark film in Malayalam for direction and screenplay. The screenplay is based on Vasudevan Nair's own story and is often cited as an example of the best in screenplay writing. 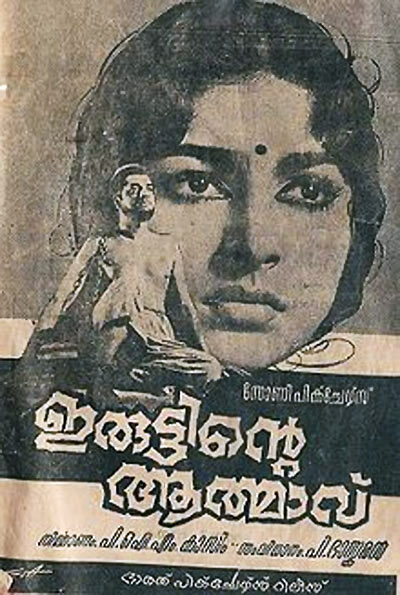 Jeevitha Nauka enters the list as the first super-hit film in Malayalam. It ran for 284 days in theatres. It was simultaneously shot in Tamil and Telugu. 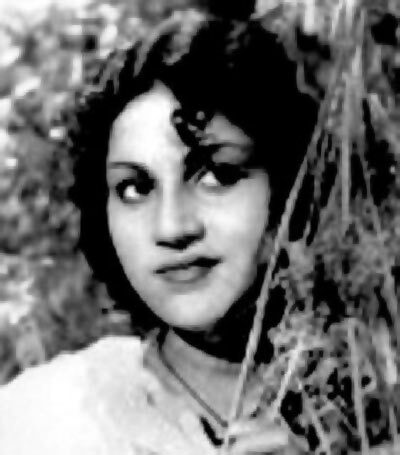 B S Saroja acted in a Malayalam film for the first time in this movie. For this slot it was extremely tough to choose between Sibi Malayil's Kireedam, Adoor Gopalakrishnan's masterpiece Kodiyettam, theextremely funny andever-popular comedy Kilukkam, and Aravindan's experimental Kanchana Sita. Kireedam (another Sibi Malayil-Lohitadas partnership) gets the slotfor its sensitive portrayal of how a young man's life and dreams are shattered by circumstances beyond his control. 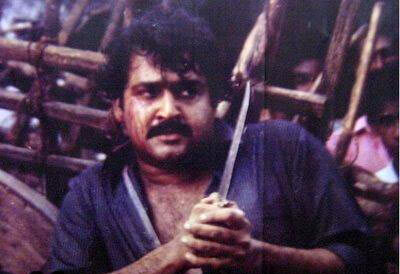 Mohanlal's heart-wrenching performance as Sethu won him his first National Award. Watch it any number of times and you can't help shedding a few tears for Sethu. Another highlight of the film was the touching scenes between Thilakan and Mohanlal as father and son. The film was remade in Tamil, Telugu, Kannada and Hindi, but no actor could match Mohanlal's performance. The film will be remembered for its story, loosely based on the life of the National Award-winning actress Shobha, who won the Best Actress award (Urvashi Award) at the age of 17, and committed suicide at the tender age of 22. K G George uses the technique of cinema within cinema and narrates the story of a young girl who becomes an actress at a very young age, how she is exploited emotionally by her family and a film director, and how things finally lead to her suicide. If Manichitrathazhu is not a classic, what is? The film still has an avid audience 19 years after it was made. Shobhana won the National Award for her performance as a schizophrenic. The film was remade in Tamil, Telugu, Kannada, Bengali and Hindi, but none of the actresses could match her scintillating performance. 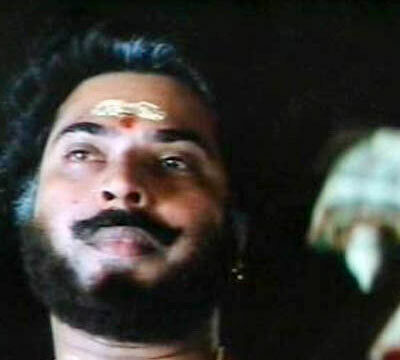 Neelakuyil is a milestone in the history of Malayalam cinema. It is the first Malayalam film to win a National Award and the President's Silver Medal. The story of a love affair between a dalit girl and a high caste, educated man is based on a short story written by well known Malayalam writer, Uroob. Oru Vadakkan Veeragadha written by M T Vasudevan Nair bears the stamp of his genius. In folklore, Chandu is a villain, but Nair wrote the story from Chandu's perspective and made him a hero. Mammootty's scintillating performance as Chandu won him the National Award for Best Actor. Vasudevan Nair won the National Award for his screenplay. The film also won National awards for Art Direction and Costume Design. Shaji N Karun made a grand entry as director with this poignant story of an old father in search of his only son who disappears after being taken into custody by the police. It was inspired by the infamous "Rajan case" during the 1975-77 Emergency. The film won four National Awards (Best Film, and Best Director for Shaji N Karun, Best Actor for Premji and Best Sound for Krishanunni). It won more than 30 major international awards, among them the Camera d'Or Mention at the Cannes Film Festival in 1989, and at the Edinburgh, Locarno, Hawaii, and Chicago film festivals. Siddique and Lal made their entry into Malayalam cinema with this comedy. There was not a moment in the film where the audience stopped laughing. No wonder it was one of the biggest hits in Malayalam. Priyadarshan remade it in Hindi as Hera Pheri. Swayamvaram changed Malayalam cinema, ushering in the New Wave cinema. It also marked the entry of a highly talented director called Adoor Gopalakrishnan who is often regarded as the successor to Satyajit Ray. It was no surprise that Swayamavaram won four National Awards (Best Film and Best Director for Adoor, Best Actress for Sarada and Best Cinematography for Mankada Ravi Varma). A film that is part of history. Priyadarshan made this colourful film on the lines of a fantasy comedy and it is perhaps one of Priyadarshan's best comedies. Like most Mohanlal comedies, this was also remade in other languages. While the Tamil version, Muthu, starring Rajnikanth and Meena, was a huge success, the Hindi remake Saat Rang Ke Sapne by Priyadarshan himself, sank. It was cinematographer K V Anand's first film, and he won a National Award for it. Aravindan, known all over Kerala as the cartoonist of his highly intellectual Cheriya Manushyarum Valiya Lokavum, entered the world of films with Utharayanam, an offbeat film. Ravi, the unemployed young man in Utharayanam was an extension of Ramu in his cartoons. Ravi's search for a job brings him in contact with many people who influence his outlook. Finally, he decides to go to the mountains in search of the ultimate truth. 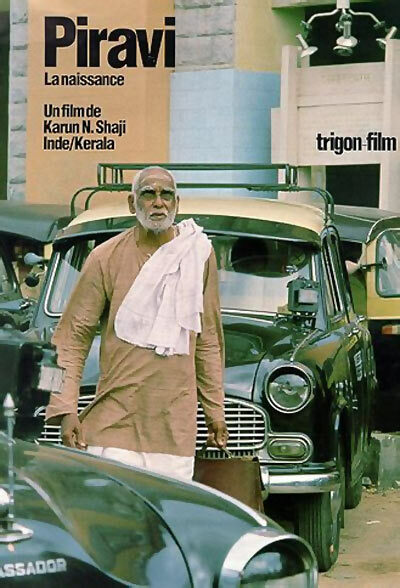 The film won a National Award for the Best Malayalam film and was also chosen as the Best Feature Film on the 25th anniversary of India's Independence. This multi-layered film is considered to be Aravindan best film and a landmark in the history of Malayalam cinema. 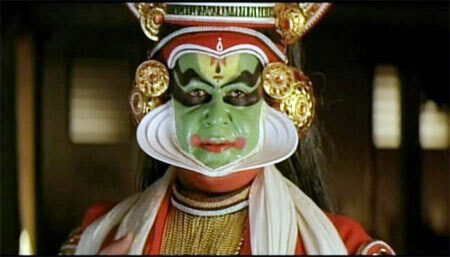 Yet another masterpiece by Shaji N Karun, with a superlative performance by Mohanlal as the Kathakali dancer Kunhikuttan. He won the Best Actor award at the national level. Undoubtedly, this is his best performance ever. 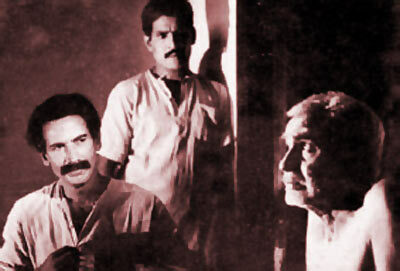 Vaanaprastham was declared the Best Film in India that year. The film was screened in the Un Certain Regard section at the Cannes Film festival. It was also nominated for the Grand Jury Prize at the Los Angeles International Film Festival. This list starts and ends with one of the brightest directors in Malayalam cinema, K G George for this murder mystery set in the backdrop of a travelling drama troupe. Bharat Gopi was superb as Ayyappan, the tabla player. The film released soon after Gopi won the National Award for his scintillating performance in Adoor Gopalakrishnan's Kodiyettam. It was a huge box-office success then, and today it is considered one of the best thrillers made in India. PIX: How Nathalia made Dan Dan Cheeni look SUPER HOT!